Podcasts are all the rage! I never understood because I never found a good podcast application for my android phone. 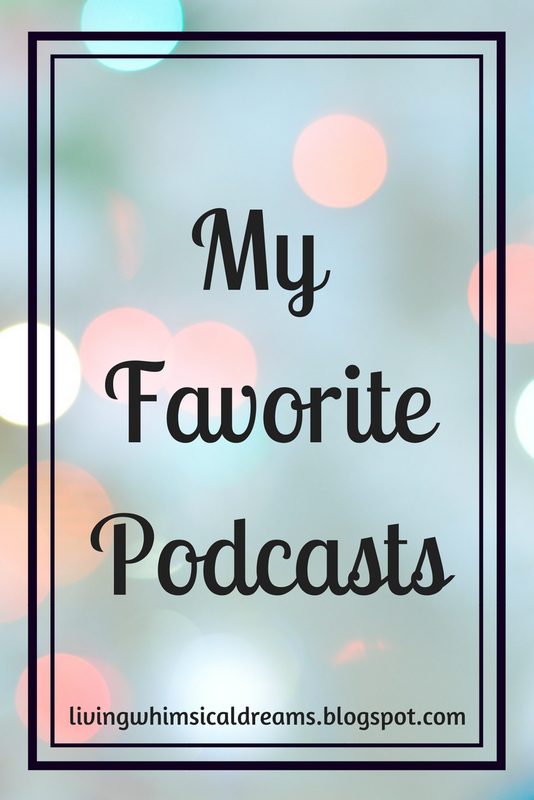 However, I recently got a used iPhone 6+ and I have a newfound love for podcasts. I wish Apple Podcasts was on Google Play because to be honest, I hate my iPhone. 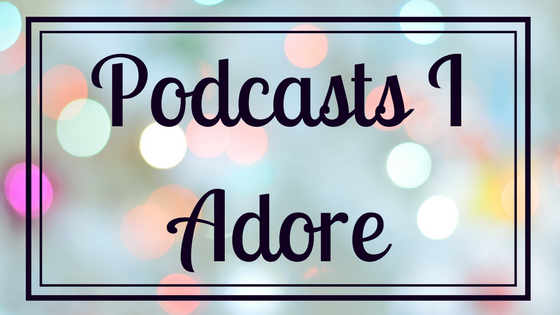 I'm an android person all the way, but the podcasts...THE PODCASTS! Living in Seoul, there is so much traffic. There is always, always traffic. I was getting bois red of all my music playlists because within an hour of sitting in traffic, I will have played through half of a playlist to an entire playlist. 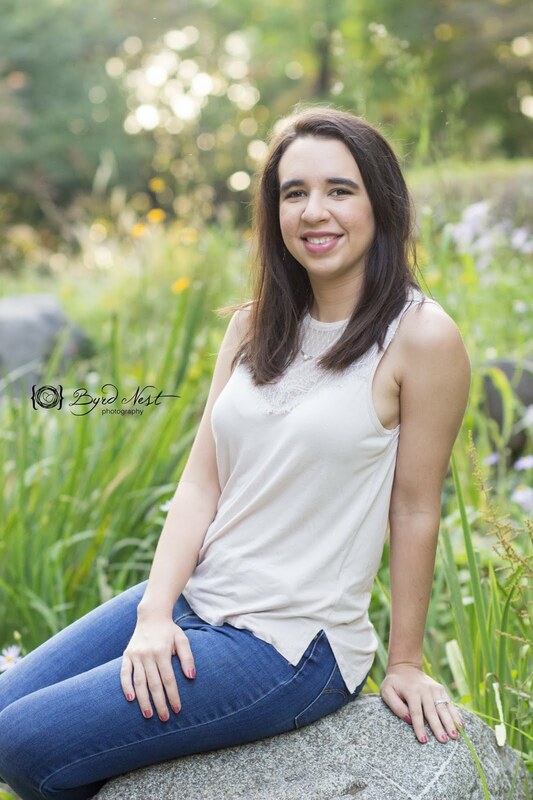 One day, a youtuber that I watch (I can't remember who said this) said that she prefers audiobooks and podcasts when sitting in traffic and working out because it doesn't keep time as much. Instead of a new song every 4 minutes, telling you that only 4 minutes has passed, an audiobook or podcast is much longer so you don't notice the time as much. I tried audiobooks, but they're kind of expensive and I just wasn't enjoying it that much. 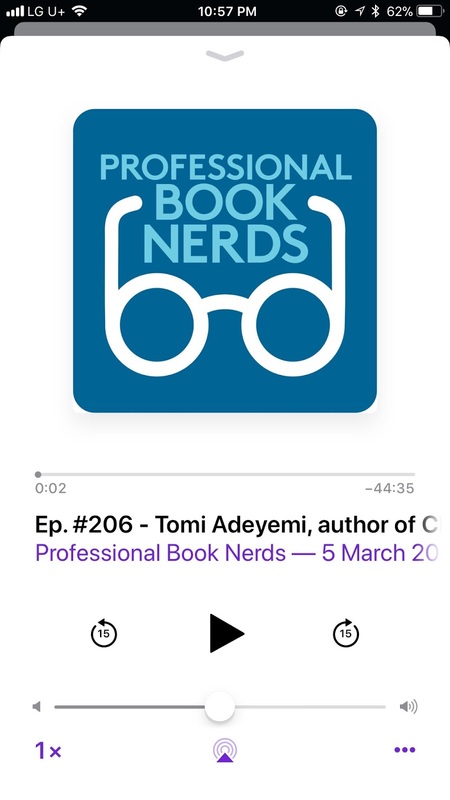 So when I got my iPhone, I tried podcasts while in traffic and I fell in love; they're free, cover any topic you want, and can be any length you want. I'm not a fan of true crime or horror/mystery as a rule. I don't watch any true crime or horror shows nor do I read any books in that genre (I will watch a scary movie sometimes but not as much now that I'm older and live on my own). It seems that a lot of everyone's favorite podcasts are true crime or crime based podcasts, which is fine, but that makes it difficult for those of us that are not fans of that genre. So these are my favorites, they're mostly book related; I am an English Literature graduate so what can you expect? I love this podcast so much! I listen to every episode that comes out and will often go back and listen to older episodes that I haven't listened to yet if any of my other podcasts aren't updated or I'm just not feeling it. Three Book Girls is such a relateable podcast. These women could be your best friend and it often feels like they are. They start out the podcast with conversation and it's usually hilarious, stuff I seriously relate too, and something I would talk to my girl friends about. 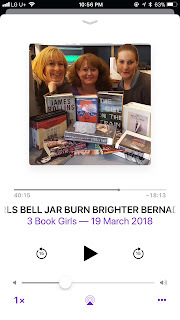 Then they move into the book they read that week and recommend; with the three of them and their guests, there is a wide array of genres for everyone. Historical fiction, Sci-fi, Fantasy, contemporary, thriller. They have it all. I just love them. My amazon book wishlist has grown tenfold thanks to them. This podcast is created with Overdrive and some employees at Overdrive. They have all the newest books and tons of recommendations. 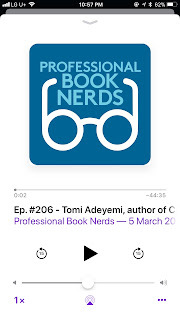 If you need a new book or want to keep up with the new releases, this is the podcast for you. The hosts are funny and interesting and again, feels like I could be friends with them too. The other day, I was coming home from another base about and hour and a half away and I listened to their podcast interviewing Tomi Adeyemi and I loved the interview and I loved her so much that as soon as I got home, I ordered the Barnes and Noble exclusive edition of her book Children of Blood and Bone and I don't normally buy hardbacks, but I had to have the exclusive edition. So I think that's a testament to how good their podcast is. This one is sponsored by Book Riot. I am still exploring this podcast so I don't love it quite as much as I love the other two, but it's making its way up there. Similar to the other two, listening to this podcast is like talking to your friends. 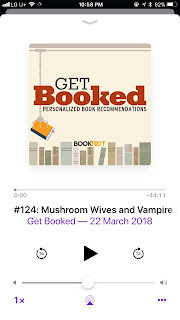 I enjoy their book recommendations and they take questions from listeners and recommend books to them that the hosts think the questioner will like. This way you get lots of book recommendations spanning many genres and books you may not have ever thought to read before. This is another podcast that expands my amazon wishlist to unattainable heights. My final semester of college spawned a new love of medieval literature and this podcast fits right in with that. This is story podcast so if you're looking for something like the true-crime podcasts but not true-crime, this may be a good one for you. They go through many myths and legends from England to Scandinavian to Egyptian. There is definitely something for everyone here. 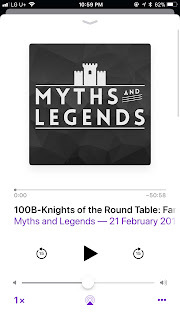 If you like Rick Riordans novels, you would probably like this too; this podcast goes into deeper into the more historical and adult areas of the myths. 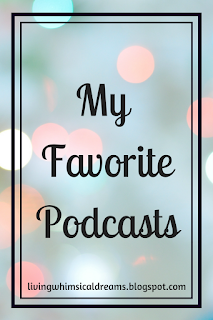 I have recently started listening to podcasts but I find that it is hard to find them so I really like this post! 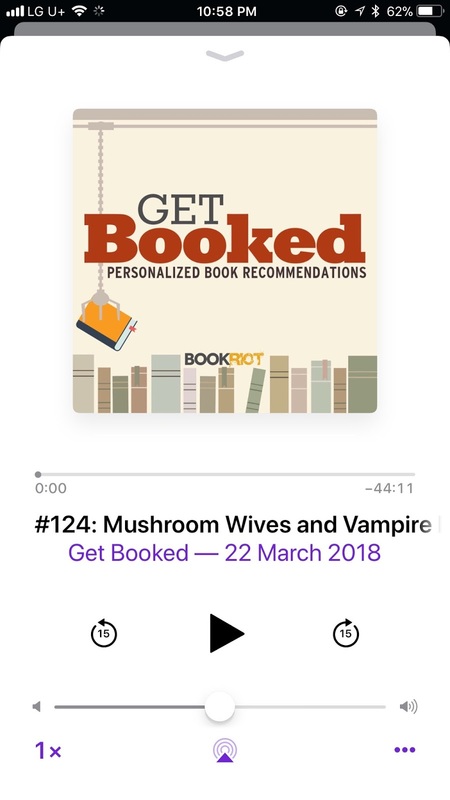 I've always been afraid to listen to book podcasts because I'm so afraid of spoilers haha! Do you find this to be a problem with the ones that you have recommended? 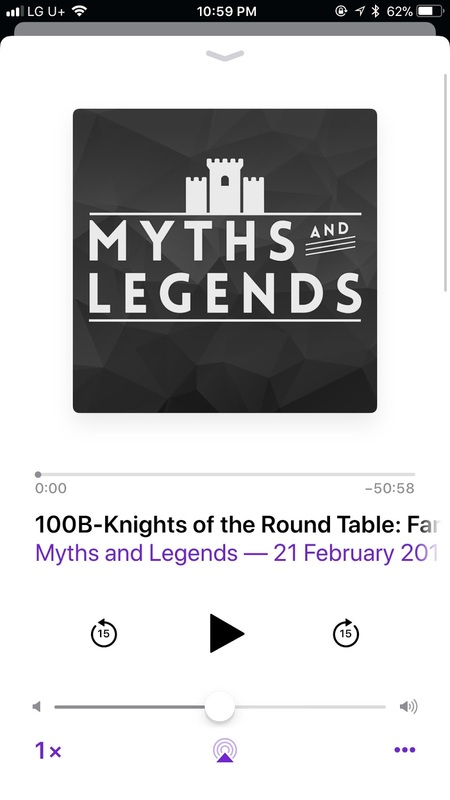 I'm going to try Myths and Legends as soon as I can as it sounds amazing!